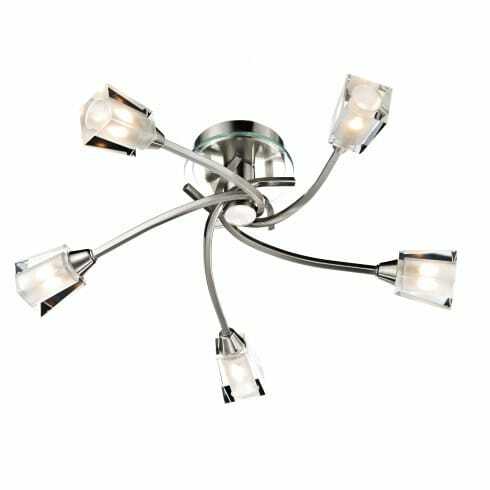 Dar Lighting Austin 5 light ceiling fitting features a nest of swirling arms that create a very stylish and contemporary semi-flush frame. These arms are topped with clear glass, cubed shades with frosted inners that add a soft and warm touch that is complimented by the satin chrome finish. The product code for this Dar ceiling fitting is AUS0546.